Northgate Optical on Rochdale, originally Northgate Optical, was established by Dr. Horeak and his wife Lillian in 1976. 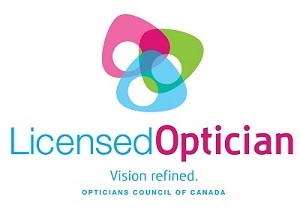 It is Regina's oldest independent optical dispensary. It's first location was in the Northgate Mall. In 1998 the business was sold to its current owners and moved across the street to 358 Albert St. N.. The business enjoyed 10 years of growth at that location, but once again needed to expand. 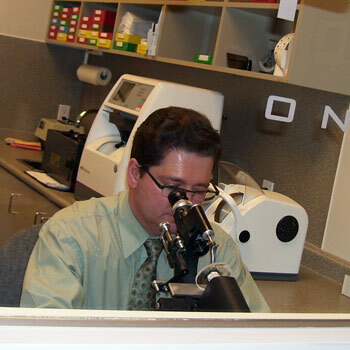 The expansion took Northgate Optical to Rochdale Blvd, to its 1500 square foot ultra modern setting. April 2008 was the beginning of "Northgate Optical on Rochdale"! 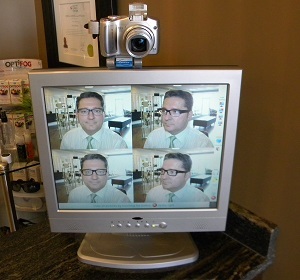 We are proud to say we are Regina's oldest Independent Optical Dispensary. We have been serving Regina and area for over 40 years!. Northgate Optical on Rochdale is an Owner Operated Business. What should that mean to you as a consumer? You will receive the Highest Quality of Service. We are dedicated to providing you with the Best Products. 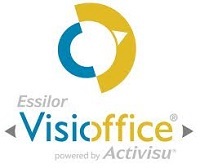 Northgate Optical on Rochdale is proud to introduce our clients to the new Essilor Visioffice System. The Visioffice is Essilor's all encompassing measuring system that allows our Opticians to obtain every possible parameter required to produce your individualized lenses. Like a finger print, these lenses are unique to your personal visual behaviour. Visioffice determines your personal Eyecode. This allows us to go one step further in terms of lens personalization by measuring the Eye Rotation Center (ERC). This information allows our Licensed Opticians to determine the individual position of each eye's rotation center with one quick and easy measurement. This eye data can then be combined with frame and head/eye behaviour data to create truly personalized single vision and progressive lenses. Eyecode is unique to Visioffice and the combination of technologies outperforms all other measuring systems on the market today. Our Optikam is a powerful tool for indecisive people or especially for those clients with higher prescriptions who want to see the frames that they are trying on. 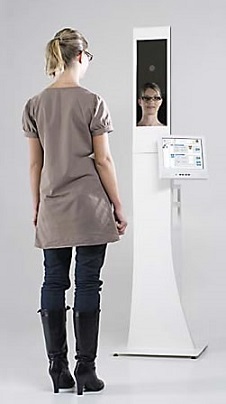 This technology takes high resolution digital photographs of you wearing frames, thus allowing you to compare on the screen up to four different photos at the same time. The photo's may then be emailed to you to show your friends and relatives and get their opinion without having them visit our store. 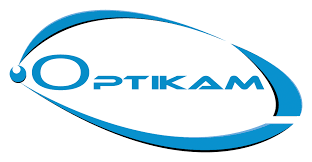 Try Optikam today and see the difference.